It’s the watch that excels at almost everything. It’s stylish, easy to use, and packs strong fitness features. Avid music listener? The Forerunner 645 Music lets you leave the phone at home. The best fitness watch you can slap on your wrist today is the Apple Watch Series 4. 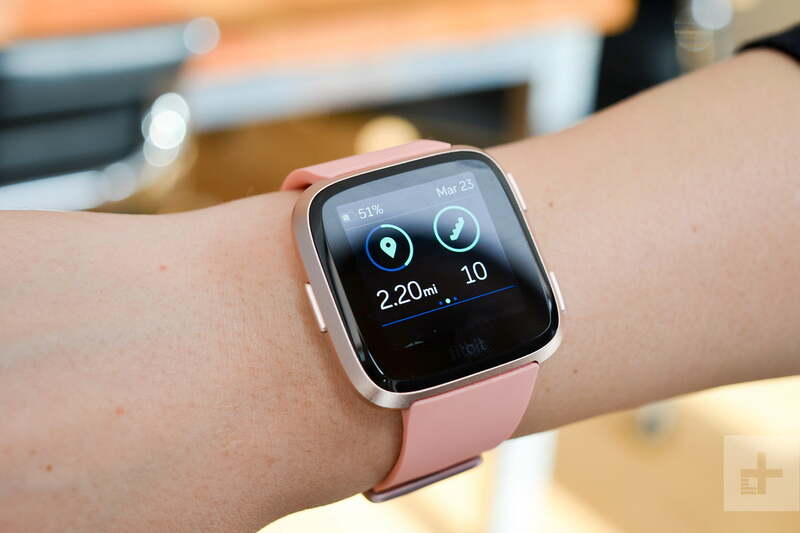 Digital Trends has come to the conclusion after testing dozens of smartwatches and fitness trackers — the latest Apple Watch is one of the few wearables to have ever received a perfect score in our review; it’s such a well-rounded device. But there are other excellent options, from Fitbits to Garmins, and especially because the Apple Watch only works with people who own iPhone devices. We’ve rounded up several wearables here that blend the world of smartwatches and fitness trackers, if you’re someone who wants something from both worlds. You can check out our guide to the best fitness trackers if you want to focus on a wearable for the gym, or read our guide to the best smartwatches if fitness isn’t top of mind. Why you should buy this: It’s the world’s best selling watch and chock full of features. Who’s it for: Users who want a fully featured smartwatch with plenty of fitness-oriented components. If you’re looking for the king of the smartwatches, you want the Apple Watch Series 4. When the Apple Watch first debuted, it was touted as a way to potentially replace your smartphone and while it’s not quite there yet, it definitely packs some power beneath its attractive square watch face. The curved glass is complemented by a bright and beautiful screen while the Digital Crown rotates seamlessly through messages, notifications, and applications. Apple’s latest flagship features WatchOS 5 which provides more fitness functions than any previous iteration. A comprehensive system, it doesn’t skimp on the basics like step counting, calorie counting, and heart rate monitoring. It adds in an electrocardiogram that measures the electrical activity of a heartbeat to help diagnose heart disease and similar conditions. There’s also a new competition mode for competing against friends and additional fitness modes that support yoga and hiking. The Apple Watch Series 4 also is waterproof down to 50 meters while a barometric altimeter records changes in elevation — a coveted feature for hikers and mountaineers. This stunning package is complemented by reminders to move, while its 18 hours of battery life is enough to get you through a day or two of workouts before you need to recharge. The biggest downside is that the Apple Watch only works with iPhones. Why you should buy this: It’s the most stylish fitness smartwatch to date. Who’s it for: Fitness enthusiasts who want something that looks as good as it performs. Not only is the Versa backed by the Fitbit name — the fitness tracker industry’s reigning giant — but it also serves as a stylish upgrade over its somewhat masculine-looking Ionic. Comfortable and lightweight, women especially will appreciate the “squircle” design and a smaller band, making it look better on slimmer wrists — it even pairs well with other wrist-worn accessories as well. Its included Exercise application allows you to choose from running, swimming, biking, weights, interval training, the treadmill, or a full-body workout. For other sports, the companion Fitbit app offers many more workouts to download and sync to the smartwatch. With the Versa, you can easily track heart rate, distance traveled, time, calories, and steps. It even offers guided breathing sessions, a period tracker for women, and sleep tracking to keep you sharp outside of the gym. With Fitbit Coach, the Versa allows you to make use of your own personal trainer and power through guided workout routines. The Versa offers four-plus days of battery life, the industry standard for most modern full-featured fitness trackers. The only downside is its lack of GPS, which means you need to carry your smartphone with you in order to accurately track distances. Why you should buy this: Onboard music and GPS means you can leave your phone at home. Who’s it for: Fitness enthusiasts who can’t exercise without their favorite music. The Garmin Forerunner 645 is capable of storing up to 500 songs and easily syncs with select music streaming services, including Spotify. Although the device comes with a hefty price tag, it delivers a powerful punch. Garmin packed the Forerunner 645 Music with sensors, including a real-time compass, gyroscope, accelerometer, thermometer, barometric altimeter, and the Garmin Elevate wrist heart rate monitor. During our own time spent with the wearable, we found it to still get an accurate heart rate reading with the band fixed less tightly on the wrist than other models, such as the Fitbit Ionic. Although Garmin hasn’t adopted a touchscreen like its Apple and Fitbit competitors, its five buttons around the watch face are still easy to use. A traditional circular face will appeal to many and its 1.2-inch diameter looks great on small or large wrists. The Forerunner 645 is especially useful to runners, featuring stride length, cadence, vertical ratio, ground contact time, and balance readings. Its companion Garmin Connect app makes it easy for you to collect and utilize all your fitness data while also offering a Challenge tab which allows you to create challenges with your friends. Perhaps its best feature is the built-in GPS which means you won’t have to tote around a bulky smartphone. Featuring seven days of battery life as a smartwatch or five days with music and GPS active, there is not much to dislike about the Forerunner 645 Music. Why you should buy this: It’s designed for outdoor enthusiasts with the most accurate and detailed GPS mapping to date. Who’s it for: Fitness enthusiasts who love to exercise outdoors. Its larger size may not appeal to everyone but the Garmin Fenix 5X Plus never fails to deliver in terms of features or function. The Fenix’s improved screen resolution makes for a face that’s easy to see, which is helpful for reading the full-color topographic maps that are included on the watch. What’s really impressive is the technology under the hood. Garmin includes profiles for a wide variety of sports including running, cycling, and swimming but also snowboarding, skiing, rowing, and golf. The device is full of sensors including a barometric altimeter, a temperature sensor, and even a pulse oximeter for altitude acclimation. Pairing the Fenix with a smartphone lets you experience standard smartwatch features including seeing notifications and text messages. The Garmin Fenix 5X Plus stands out from the crowd on account of its navigational abilities highlighted by full-color GPS topographic mapping — directly from your wrist. It lets you view roads, lakes, trails, and mountains complemented by the capacity to search for local points of interest including restaurants, stores, and gas stations. For runners, this means having access to the instantaneous creation of round-trip routes. When you’re out mountain biking, hiking, or kayaking, you’ll never need to worry about getting lost again, either — even in places without cell service. Add nearly two weeks of battery life and a rugged design and you’ve got a smartwatch made for the outdoors that’s well worth its price tag. Why you should buy this: It’s a quality smartwatch with outstanding battery life. Who’s it for: Outdoor enthusiasts who run or hike long distances. The standout feature of the Suunto 9 is its battery life and management tools. Using Ultra mode, you can expect to get almost 120 hours of battery life. 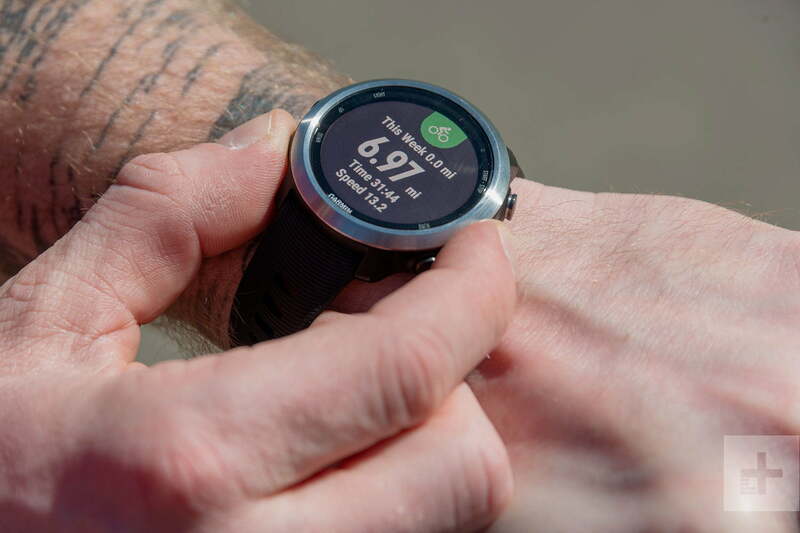 The watch also has an intelligent battery mode that uses your exercise history to monitor your battery life so you never run out of juice in the middle of a workout. When you start an exercise, the watch will calculate the amount of battery you have remaining and will monitor it as it starts draining. If it detects you will run out of juice, the watch will prompt you to switch to a low-power mode to ensure you record your entire activity. Suunto Baro 9 has a circular watch face with a touchscreen for easy navigation and robust style that is not too rugged. 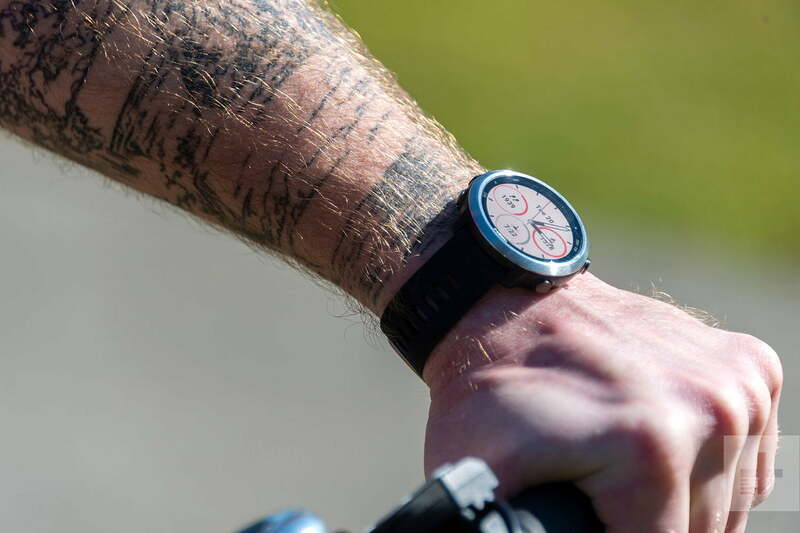 Suunto designed the 9 Baro to be used for a variety of indoor and outdoor sports including running, swimming, cycling, gym training, hiking, and more. During any of these activities, the watch will measure your pace, cadence, distance, elevation and more. It also tracks how well you sleep and syncs all this data to the Suunto app which keeps you up to date every day of the week. Why you should buy this: It’s an affordable smartwatch with great battery life and ample fitness tracking. Who’s it for: Fitness enthusiasts who want a watch dedicated to running, swimming and biking. 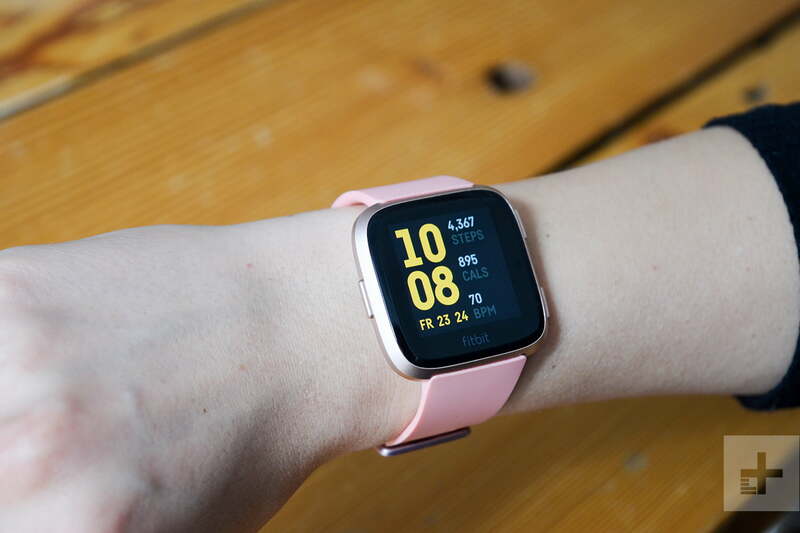 The Coros Pace is one of the cheaper smartwatch options on this list, but it has plenty to offer in terms of fitness features. The circular watch face displays all the information you need and doesn’t overload you with extra fluff. Battery life is outstanding allowing you to charge the watch once every seven to 10 days when training regularly and almost a month when using it only for its smartwatch features. Coros designed the Pace for triathlon training so it only supports running, biking, and swimming. What it does track, it tracks with detail so you can analyze pace, cadence, heart rate zones, fitness level, and the overall training effect of each activity. You can monitor each activity individually or use the dedicated triathlon mode to track all three activities in one workout. It’s capable of tracking your sleep as well as monitoring your training load so you can increase your fitness without overdoing it. With the Pace, Coros developed a high-quality product meant to rival bigger name brands and at this price, it’s certainly hit the mark. The only feature missing is navigation. If you want the ability to pre-load routes and follow a breadcrumb to your destination, then you should look at the Coros Apex which has the core features of the Pace with the addition of breadcrumb navigation.